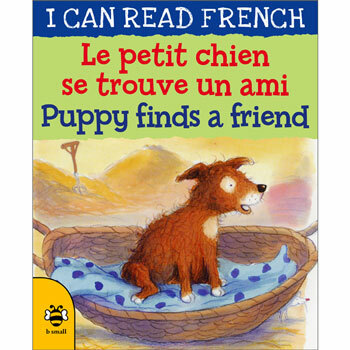 Le petit chien se trouve un ami / Puppy finds a friend is a dual-language book from the I Can Read French series. 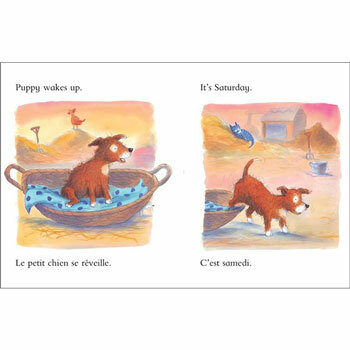 The books in this series are aimed at young language-learners and use the magic of a beautifully illustrated story together with bilingual text to introduce young children to French in a natural and relaxed way. In this story, Puppy wants to play, but none of the other farm animals are interested in playing with him. Well, all except one little mouse........!!! I can read French - Le petit chien se trouve un ami / Puppy finds a friend is aimed at young learners of French. It includes support for parents with little previous knowledge of French to enable them to enjoy this book with their child.